New paper from the group! Written by Irene Anton on May 7, 2018 . Posted in New publications. 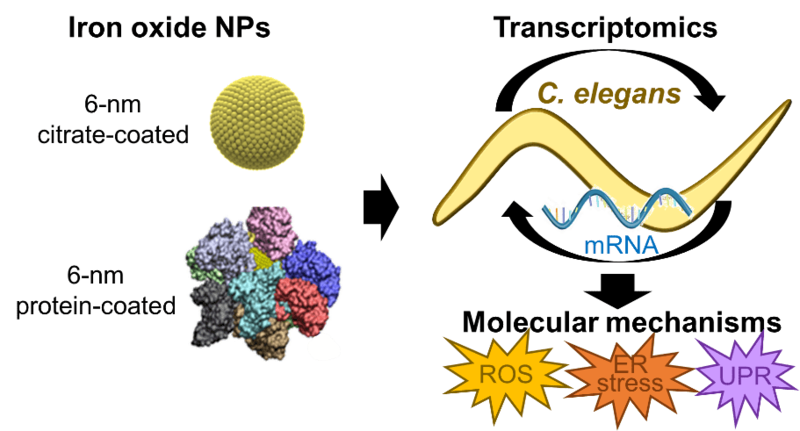 Congratulations to Anna Laromaine, Anna Roig and their collaborators from the Karlsruhe Institute of Technology Tina Tronser (first author) and Pavel A. Levkin for their new paper: Bacterial Cellulose Promotes Long-Term Stemness of mESC! This manuscript was published on ACS Applied Materials and Interfaces the 20th of April 2018. Abstract: Stem cells possess unique properties, such as the ability to self-renew and the potential to differentiate into an organism’s various cell types. These make them highly valuable in regenerative medicine and tissue engineering. Their properties are precisely regulated in vivo through complex mechanisms that include multiple cues arising from the cell interaction with the surrounding extracellular matrix, neighboring cells, and soluble factors. Although much research effort has focused on developing systems and materials that mimic this complex microenvironment, the controlled regulation of differentiation and maintenance of stemness in vitro remains elusive. In this work, we demonstrate, for the first time, that the nanofibrous bacterial cellulose (BC) membrane derived from Komagataeibacter xylinus can inhibit the differentiation of mouse embryonic stem cells (mESC) under long-term conditions (17 days), improving their mouse embryonic fibroblast (MEF)-free cultivation in comparison to the MEF-supported conventional culture. The maintained cells’ pluripotency was confirmed by the mESCs’ ability to differentiate into the three germ layers (endo-, meso-, and ectoderm) after having been cultured on the BC membrane for 6 days. In addition, the culturing of mESCs on flexible, free-standing BC membranes enables the quick and facile manipulation and transfer of stem cells between culture dishes, both of which significantly facilitate the use of stem cells in routine culture and various applications. To investigate the influence of the structural and topographical properties of the cellulose on stem cell differentiation, we used the cellulose membranes differing in membrane thickness, porosity, and surface roughness. This work identifies bacterial cellulose as a novel convenient and flexible membrane material enabling long-term maintenance of mESCs’ stemness and significantly facilitating the handling and culturing of stem cells. Written by Irene Anton on March 19, 2018 . Posted in General News, New publications. 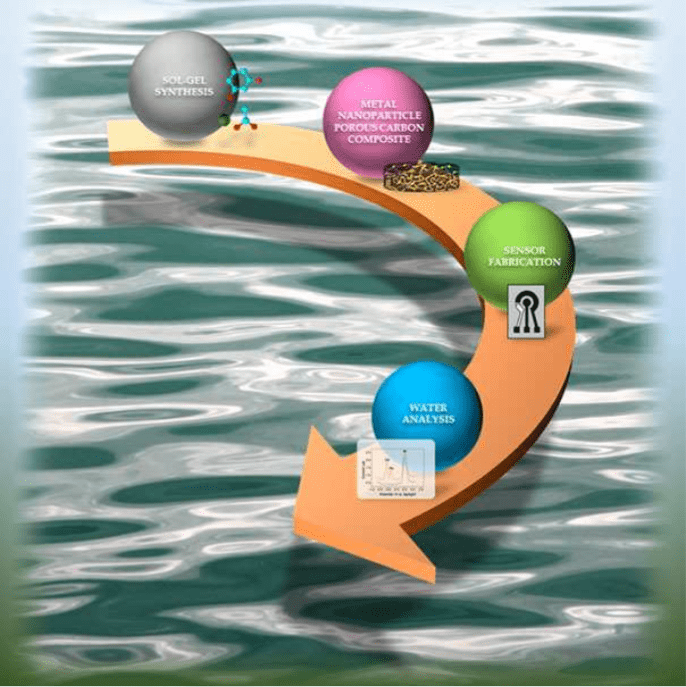 Congratulations to the authors: Jana S. Segmehl, Anna Laromaine, Tobias Keplinger, Anna May-Masnou, Ingo Burgertab and Anna Roig for their new publication entitled: Magnetic wood by in situ synthesis of iron oxide nanoparticles via a microwave-assisted route. The paper was first published on 9th of March 2018 in the Journal of Materials Chemistry. Functional materials with high porosity and hierarchical structures are highly demanded for numerous material applications. 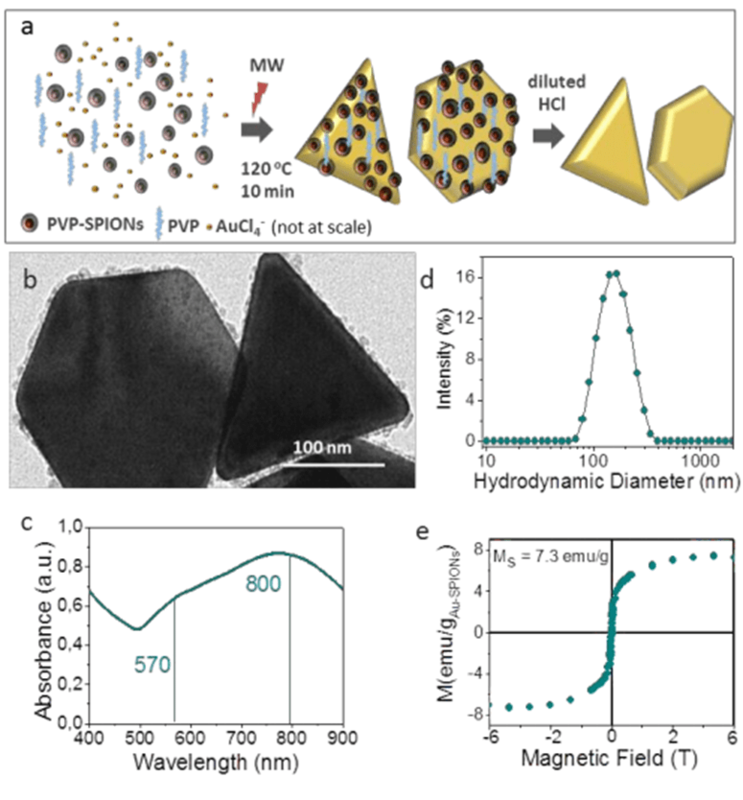 In this study a magnetic hybrid material derived from wood and superparamagnetic iron oxide nanoparticles (SPIONs), was synthesized by microwave-assisted thermal decomposition. This novel in situfunctionalization approach resulted in a homogeneous distribution of the integrated inorganic component within the entire complex wood cell wall structure, which was previously not achieved. 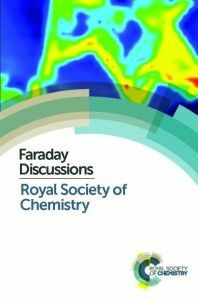 In a detailed investigation based on confocal Raman microscopy imaging, transmission electron microscopy, and optical microscopy the precipitated phase and the resulting hybrid structure were characterized. 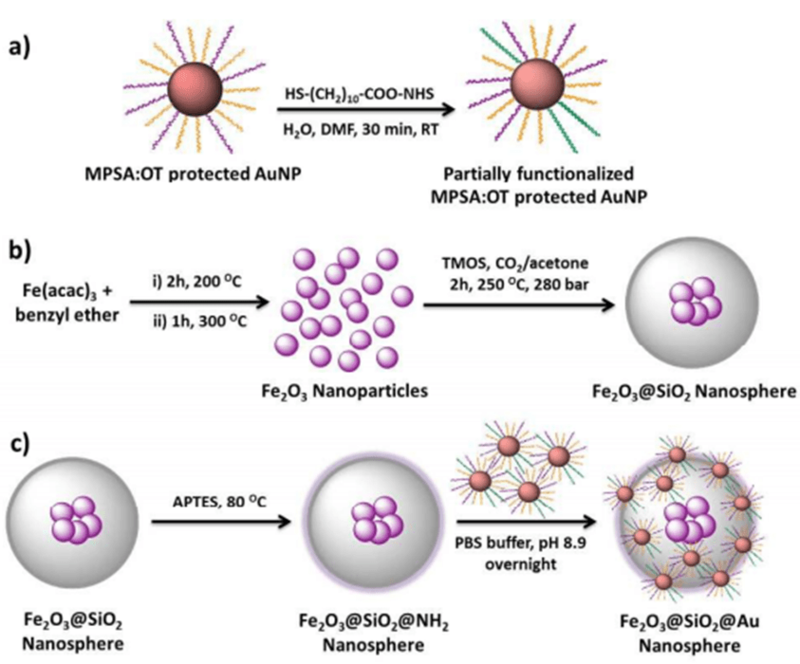 Magnetic measurements revealed the impact of the anisotropic wood scaffold on the integrated magnetic functionality and confirmed the isotropic superparamagnetic characteristics of the in situ precipitated nanoparticles. Therewith, it is clearly demonstrated, that the anisotropic properties of the obtained hybrid material result from the particle organization in the given spruce wood structure and no alteration of particle properties is induced by the presence of the lignocellulosic material. Hot off the press: Accepted paper in Nanotoxicology! Written by Irene Anton on June 16, 2017 . Posted in New publications. We congratulate the autos Laura Gonzalez-Moragas, Si-Ming Yu, Núria Benseny-Cases, Stephen Stürzenbaum, Anna Roig and Anna Laromaine for their recently accepted paper: Toxicogenomics of iron oxide nanoparticles in the nematode C. elegans. This research arises from a collaboration of the N&N group, the ALBA Synchrotron Light Source (MIRAS line) and the King’s College London. We present a mechanistic study of the effect of iron oxide nanoparticles (SPIONs) in C. elegans combining a genome-wide analysis with the investigation of specific molecular markers frequently linked to nanotoxicity. The effects of two different coatings were explored: citrate, an anionic stabilizer, and bovine serum albumin, as a pre-formed protein corona. The transcriptomic study identified differentially expressed genes following an exposure to SPIONs. The expression of genes involved in oxidative stress, metal detoxification response, endocytosis, intestinal integrity and iron homeostasis was quantitatively evaluated. The role of oxidative stress was confirmed by gene expression analysis and by synchrotron Fourier Transform infrared microscopy based on the higher tissue oxidation of NP-treated animals. 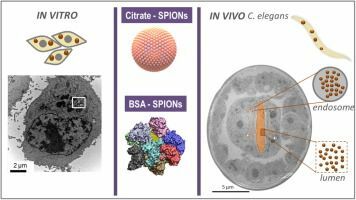 The observed transcriptional modulation of key signaling pathways such as MAPK and Wnt suggests that SPIONs might be endocytosed by clathrin-mediated processes, a putative mechanism of nanotoxicity which deserves further mechanistic investigations.